Our regular Lecturing Faculty will be augmented by a team of Mentoring Faculty-in-Residence. MFRs are drawn from the ranks of tenure-track or recently tenured political science faculty who use EITM methods in their research. Each MFR will have a mentoring group, consisting of a small number of EITM participants. MFRs will work closely with their participants, helping them integrate ideas and methods from the summer program into their own projects. MFRs will also give presentations of their own current research. Avi Acharya is currently a visiting scholar at the Wallis Institute of Political Economy at the University of Rochester. Beginning in the fall of 2012, he will be an Assistant Professor of Political Science and Economics at the University of Rochester. He will receive his Ph.D. in Political Economy from the Woodrow Wilson School of Public and International Affairs at Princeton University in the spring of 2012. His research interests focus on mathematical and game-theoretic models of comparative politics and international relations. 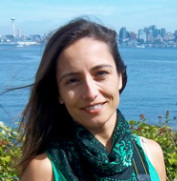 Deniz Aksoy is an Associate Research Scholar in the Department of Politics at Princeton University. She received her Ph.D. from University of Rochester in 2008. Her primary research interests are in the field of comparative politics, with a focus on political institutions and the effects of institutions on political behavior. She has published and forthcoming articles in several journals including Legislative Studies Quarterly, European Union Politics, Journal of Politics, and American Journal of Political Science. 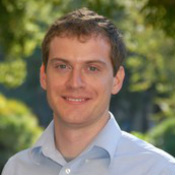 Adam Bonica is an Assistant Professor of Political Science. His research focuses on ideology, campaign finance and interest groups politics. His main dissertation project developed a new methodology for measuring the ideology of political actors using campaign finance records. He is currently using the measures to examine the extent to which recent developments in campaign finance have contributed to partisan polarization. Bonica received his Ph.D. from New York University, and while a graduate student he attended EITM. Before joining the Stanford faculty, he was a fellow at the Center for the Study of Democratic Politics at Princeton University. Songying Fang is an Assistant Professor in the Department of Political Science at Rice University. Prior to joining the faculty at Rice in 2009, she worked as an Assistant Professor of Political Science at the University of Minnesota. Her research focuses on how international institutions influence state behavior using both game-theoretic modeling and empirical analysis. Fang received her Ph.D. from the University of Rochester and, and while a graduate student she attended EITM. She has published articles in several scholarly journals including Quarterly Journal of Political Science, International Organization and American Journal of Political Science. 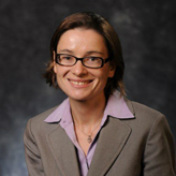 Monika Nalepa is an Assistant Professor of Political Science at The University of Notre Dame and is a Faculty Fellow at Notre Dame's Kellogg Institute for International Studies. This year she has been a Visiting Research Fellow at The Center for the Study of Democratic Politics in the Woodrow Wilson School at Princeton University. Her research interests focus on comparative politics with particular application to democratization. She is the author of the book Skeletons in the Closet: Transnational Justice in Post-Communist Europe. Nalepa received her Ph.D. in Political Science from Columbia University, and while a junior faculty member at Rice University she participated in EITM. 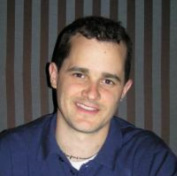 Dustin Tingley is an Assistant Professor of Government at Harvard University. He received his Ph.D. in Politics from Princeton in 2010. His research interests include international relations, international political economy, and experimental approaches to political science. He is currently working on new experimental projects on bargaining, new methods for the statistical analysis of causal mechanisms, and a book about the domestic politics of US foreign policy. He is the founding editor of the APSA Experimental section newsletter, The Experimental Political Scientist.